1 Heat the oil and sweat the diced onion until translucent. Then add the mince and fry, breaking it up to make sure it is browned on all sides. 2 Mix in the taco sauce and the sweetcorn. Season well with salt, pepper and chilli powder. Wash and dry the lettuce leaves and tear into smaller pieces. 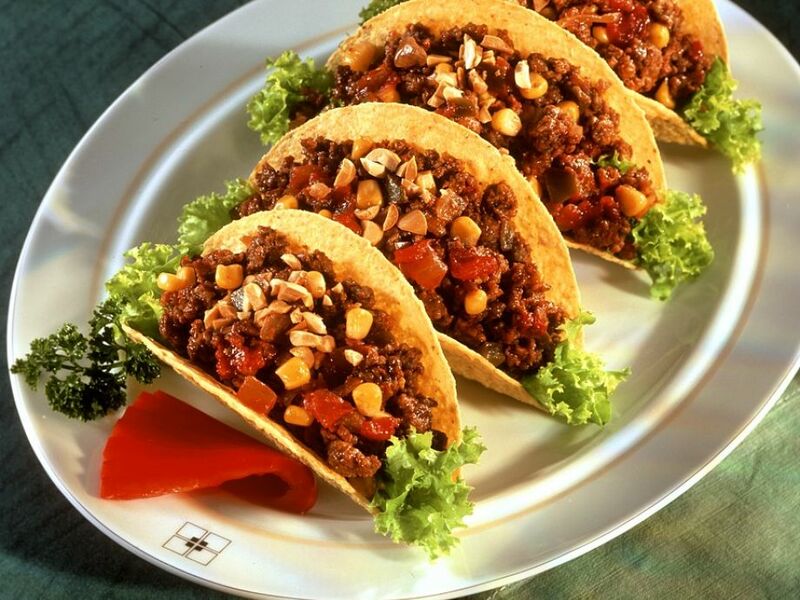 3 Put a little lettuce in each taco shell, add the meat filling and sprinkle with peanuts.